Metal soaps are derived from long-chain fatty acids and a metal oxide compound. The fatty acids, in turn, are derived from a triglyceride (natural fats and vegetable oils, i.e. renewable feedstocks). Metal soaps – commonly known as metallic stearates – can be produced using various synthesis methods, e.g. precipitation and melting processes. Baerlocher offers an extensive portfolio of metal soaps with diverse properties. 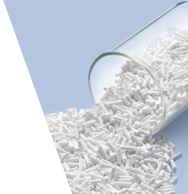 The portfolio includes calcium stearate, zinc stearate, magnesium stearate, sodium stearate and aluminum stearate. These products can be employed as acid scavengers, stabilizers, lubricants and release agents, among other applications, and some are ideally suited for use as gelling or hydrophobic agents. Metal soaps can enhance production processes, and, in many cases, they enable manufacturers to develop products with smooth surfaces and low friction. In the plastics industry, metal soaps are used in the manufacture of PVC products, and during the processing of numerous plastics, including polyamide, polyethylene, polypropylene, ABS and fiber-reinforced plastics (SMC, BMC). Lubricant for pencil leads and modeling clay Metal soaps are available in a variety of physical forms, such as powder, flakes, and sprayed granules that are easy to disperse and free-flowing. Other forms include pastilles and granules. In comparison to other metallic stearates, zinc stearate has a low melting point (120°C) - meaning it spreads very evenly when heated. 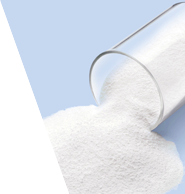 Calcium stearate is recognized as physiologically safe, and is insoluble in most solvents. Magnesium stearate is recognized as physiologically safe. There are multiple types of aluminum stearates, generally classified as aluminum mono-, di-, and tri-stearate. Alkali stearates are salts of fatty acids.